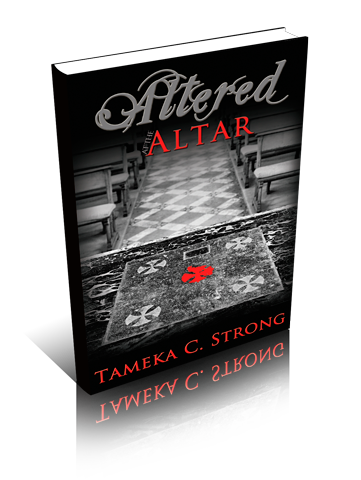 Altered at the Altar is a fictional story about Christians that find themselves in compromising positions. There are three individuals that are dealing with their relationships with God in different ways. Zoi is a Christian dating a married man. Struggling through her family and friends’ constant reminder that this is Christ-like, she is not willing to walk away from a man she loves and in whom she has invested 5 years in a relationship. Then there’s Deena. She is a “for God I will live, for God I will die” kind of Christian. God used her to help others obtain deliverance but now she finds herself in a predicament that includes a stranger and God. She could not and would not speak to anyone in regards to it but God; trusting Him wholeheartedly. Finally we have Rick; a man that enjoys having his cake and eating it too. Involved with a woman that he would give up anything for, Rick offers the world to her and realizes that that was the biggest mistake he’s ever made. Altered at the Altar is a book that shows that Christians aren’t perfect, but through God all things are working toward perfection.